Acrylic Display Case 10"H x 10" W x 10" D, with a white base. Acrylic Display Case 11"H x 11" W x 11" D, with a white base. Acrylic Display Case 12"H x 12" W x 12" D, with a white base. Acrylic Display Case 13"H x 13" W x 13" D, with a white base. Acrylic Display Case 14"H x 14" W x 14" D, with a white base. Acrylic Display Case 15"H x 15" W x 15" D, with a white base. Acrylic Display Case 16"H x 16" W x 16" D, with a white base. Acrylic Display Case 17"H x 17" W x 17" D, with a white base. Acrylic Display Case 18"H x 18" W x 18" D, with a white base. Acrylic Display Case 4"H x 4" W x 4" D, with a white base. Acrylic Display Case 5"H x 5" W x 5" D, with a white base. Acrylic Display Case 6"H x 6" W x 6" D, with a white base. Acrylic Display Case 7"H x 7" W x 7" D, with a white base. Acrylic Display Case 8"H x 8" W x 8" D, with a white base. Acrylic Display Case 9"H x 9" W x 9" D, with a white base. Plexiglass Display Box 10"H x 10" W x 10" D, with a white base. Plexiglass Display Box 11"H x 11" W x 11" D, with a white base. Plexiglass Display Box 12"H x 12" W x 12" D, with a white base. 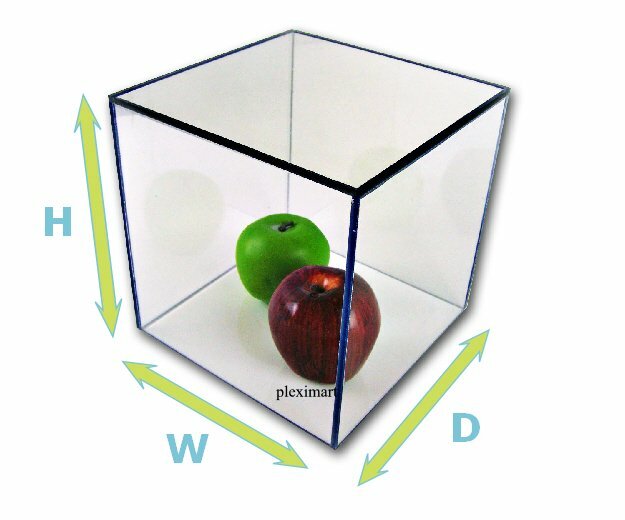 Plexiglass Display Box 13"H x 13" W x 13" D, with a white base. Plexiglass Display Box 14"H x 14" W x 14" D, with a white base. Plexiglass Display Box 15"H x 15" W x 15" D, with a white base. Plexiglass Display Box 16"H x 16" W x 16" D, with a white base. Plexiglass Display Box 17"H x 17" W x 17" D, with a white base. Plexiglass Display Box 18"H x 18" W x 18" D, with a white base. Plexiglass Display Box 19"H x 19" W x 19" D, with a white base. Plexiglass Display Box 20"H x 20" W x 20" D, with a white base. 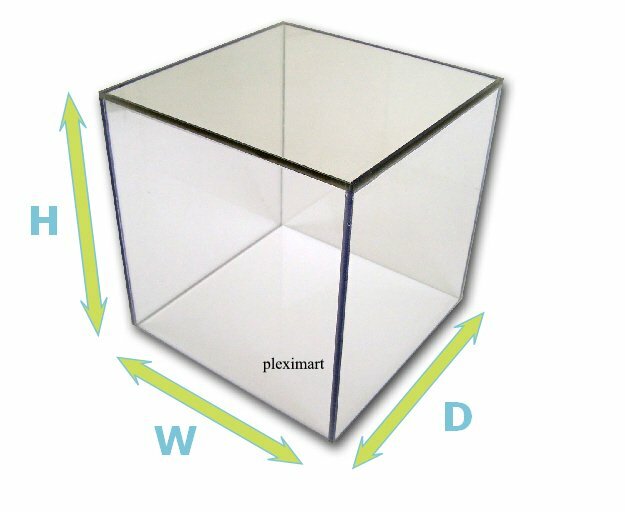 Plexiglass Display Box 4"H x 4" W x 4" D, with a white base. Plexiglass Display Box 5"H x 5" W x 5" D, with a white base. Plexiglass Display Box 6"H x 6" W x 6" D, with a white base. Plexiglass Display Box 7"H x 7" W x 7" D, with a white base. 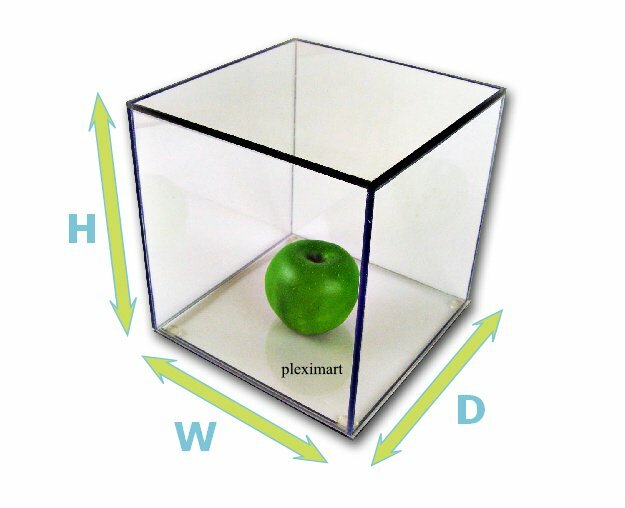 Plexiglass Display Box 8"H x 8" W x 8" D, with a white base. Plexiglass Display Box 9"H x 9" W x 9" D, with a white base. Plexiglass Display Case 10"H x 10" W x 10" D, with a white base. Plexiglass Display Case 11"H x 11" W x 11" D, with a white base. Plexiglass Display Case 12"H x 12" W x 12" D, with a white base. Plexiglass Display Case 13"H x 13" W x 13" D, with a white base.